“Ghostbusters” (all week, Eastgate and Star Cinema, and Wednesday at Sundance) — Even though it’s one of my favorite movies of the ’80s, and I vividly remember seeing it at a late-night screening opening night in high school, I kinda hope this 30th anniversary revival tanks. Because we don’t need another “Ghostbusters” movie (we really didn’t even need the second one), and nobody seems to want it except Dan Ackroyd. (Although an all-female version directed by Paul Feig is certainly the least bad idea out there for a reboot.) 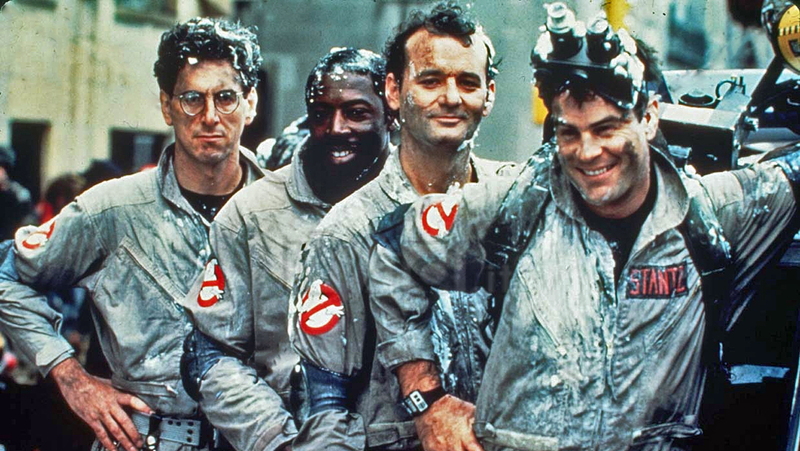 Anyway, it’s still “Ghostbusters,” and still lots of fun to watch. “Calvary” (all week, Sundance) — I’ve really wrestled with “Calvary” in the months since I saw it at Sundance. On the one hand, impeccably acted and shot film, powerful at times, with Brendan Gleeson as a good priest who learns one of his disillusioned flock plans to murder him. On the other hand, it seems “The Guard” writer-director John Michael McDonagh has bit off a little more than he can chew, and the film veers wildly from sentimentality to ultraviolence. In the end, I come down on the side of recommending it, if only because I can’t stop wrestling with it. “The Bugs Bunny/Road Runner Movie” (8 p.m. Friday, Hierstand Park) — This is the good stuff, kids. You may like your “Spongebob” and your “Fairly Oddparents” and all the rest, but the Looney Tunes cartoons are bonafide classics. If you haven’t introduced your kids to “What’s Opera, Doc?” or “Duck Amuck,” this free outdoor screening is a great way to indoctrinate them and wring a few last drops out of summer. FREE! “The Auction” (7 p.m. Friday, Alicia Ashman Public Library) — My full review is here. If you missed this French-Canadian drama at the Wisconsin Film Festival this year, be sure to catch it this time around. It’s a marvelously nuanced portrait of an old farmer who, to support his divorced daughter, decides to sell every scrap of his land. I thought it would be either a “Giving Tree” fable of parental sacrifice or an elegy to a vanishing way of life, but it’s actually a very moving and complex look at a man coming to an honest reckoning of his life. FREE! “Hour of the Wolf” (6:30 p.m. Thursday, Madison Central Library) — Ingmar Bergman’s only film that could be easily classified as “horror” is this 1968 film starring Max Von Sydow as a writer who retreats with his family to a remote, windy island, only to be tormented by his demons. FREE!